The three-masted Down Easter Abner Coburn was named after the Governor of Maine from 1863 to 1864. She sailed mainly on the trade routes between the U.S. East Coast and the Orient but also sailed between New York and San Francisco, her San Francisco registry clearly visible on her stern in the image shown below. 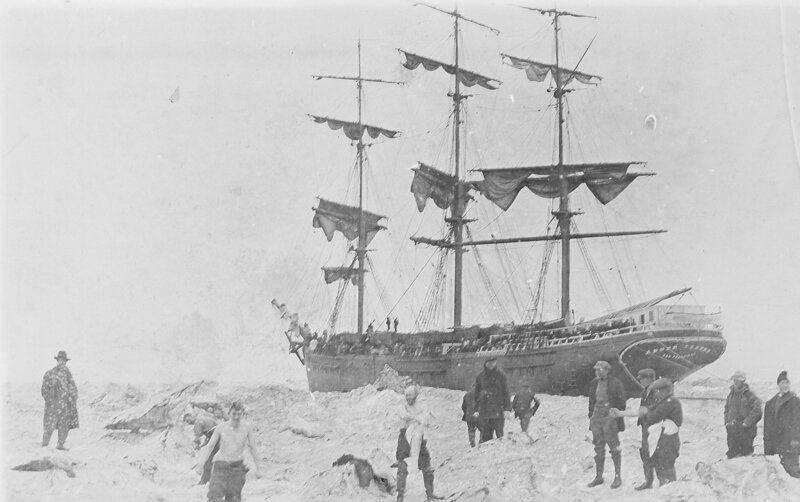 She was burnt for her metal fittings and fastenings in the late 1920's.